While the Bond franchise has gone for more subdued aesthetics with its contemplative leads, Mission: Impossible, on the other hand, just goes bigger and more insane with each entry, which isn’t bad really. While other spy films implode with their ludicrous plots and set-pieces, M:I somehow manages to succeed each time. Essential to all this success is franchise star Tom Cruise, whose manic energy gives the films its flavor. For the first time in franchise history, the IMF (Impossible Mission Force) faces a shadow organization called “The Syndicate”, their equal in skill and resources. Some filmgoers might notice similarities between The Syndicate and iconic antagonist organizations such as HYDRA or SPECTRE. Like HYDRA in the MCU, The Syndicate infiltrates the deepest levels of the IMF, compromising the intelligence agency, resulting in its absorption by the CIA. This forces Ethan Hunt (Tom Cruise) to go rogue and find more information about this conspiracy terrorist group. Unfortunately, as the film progresses and Ethan finds more info about The Syndicate, the plot becomes really murky on details regarding the latter. Nothing new for a franchise that has chased mysterious McGuffins and used literally impossible tech. These lapses, however, don’t hinder the film’s great sense of spectacle and shadow. The film’s universe plays to its spy game strengths pitting two insanely good groups against each other with twists, double agents, and operations aplenty. Central to all this spectacle and shadow are the film’s lead stars: Tom Cruise and Rebecca Ferguson. 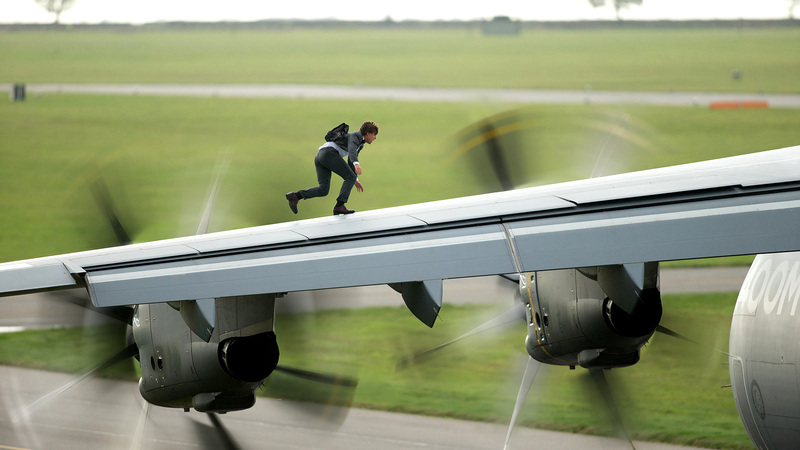 There’s something about a Mission: Impossible film that motivates Tom Cruise to bring out his A-game. Whereas the actor is often complacent and relies on stunt doubles in other action films, he risks life and limb just to pull off feats of derring-do on M:I shoots, testing the limits of practical effects. On the other hand, Rebecca Ferguson carries the emotional weight of the film as it traverses a world of shadows. Her performance manages to elevate what could have been just another thankless token female role. Simon Pegg, Jeremy Renner, and Ving Rhames round out the cast as good counterweights to Ethan’s mindset. The real surprise in this film was director Christopher McQuarrie. After the excellently directed Ghost Protocol and the disappointment that was Jack Reacher, I was wary of McQuarrie replacing Brad Bird. This was compounded by the fact that McQuarrie would also conceptualize the story and co-write the screenplay. However, he redeemed himself in his second collaboration with Cruise; McQuarrie shot such magnificently absurd and fluid sequences. 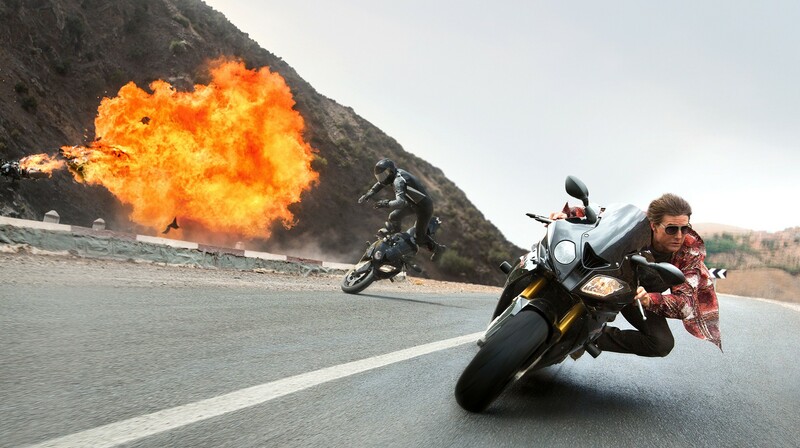 It’s interesting to see Mission: Impossible endure in an era of reboots and remakes. This is made possible by the franchise’s unique lack of definition. Like a mold of clay, it is re-shaped and retooled to suit current tastes. The only constant? A charismatic lead literally going all out for amazing spectacle.